MagMods Essay Club: Moretti Replies! The Essay Club comes to an end, as the book club did, with a generous reply from the author. Franco Moretti is the author of Signs Taken for Wonders (1983), The Way of the World (1987), Modern Epic (1995), Atlas of the European Novel 1800-1900 (1998), and Graphs, Maps, Trees (2005) and the chief editor of The Novel (Princeton, 2006). He founded the Center for the Study of the Novel and, with Matt Jockers, the Stanford Literary Lab. 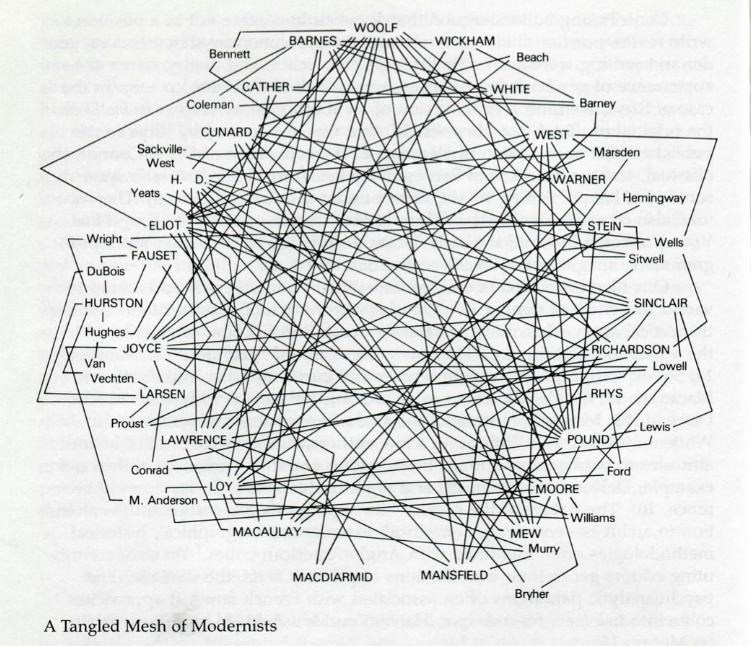 The first post in the Magazine Modernisms Essay Club reading of Franco Moretti’s “Network Theory, Plot Analysis” comes from James Murphy, editor of this blog. He is a recent Ph.D. from UC Berkeley’s English Department, where he wrote a dissertation on the theory and practice of modernist revision, and then joined the Committee on Degrees in History and Literature at Harvard University. He has published essays on Robert Frost and meter, Henry James and revision, editing and electronic archives, and teaching serialized novels. He is currently working on a book entitled Modernist Economy, but don’t hold him to that title. 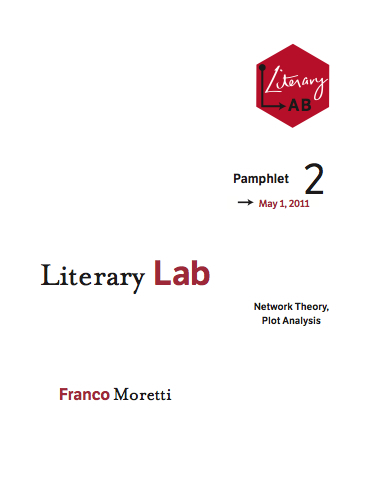 The publication of Franco Moretti’s essay “Network Theory, Plot Analysis” as the Stanford Literary Lab’s second pamphlet is an exciting event for those of us interested in new approaches to the study of literature made possible and provoked by the digital. Digitization hasn’t only provided unprecedented access to our literary heritage–it’s begun to redefine what we think that heritage is and asked us to find new ways and new tools to conceptualize and curate this growing horde of materials. It’s on these last two fronts that network theory and social network analysis (SNA) come in, but more on them later. See the complete program, abstracts, and other information at the conference website.